Rosneft, Russia’s state-controlled oil company and the largest oil producer in the country, plans to develop an Arctic cluster of oil fields over the next five years. These plans by Rosneft – led by a close ally of Vladimir Putin’s, Igor Sechin – fit the Russian President’s ambition to develop Arctic oil and gas resources and adjacent regions, as well as the so-called Northern Sea Route – a shipping lane through Russian Arctic waters stretching from Europe to the Far East. Russia’s Arctic oil development has stalled in recent years due to the western sanctions that have had international majors, including ExxonMobil, pull out of some exploration projects in Russia. Now Rosneft is pledging increased efforts to fulfill Putin’s Arctic development ambitions, aiming to have first oil produced in the so-called Arctic cluster of fields by 2024 and to boost cargo traffic on the Northern Sea Route. 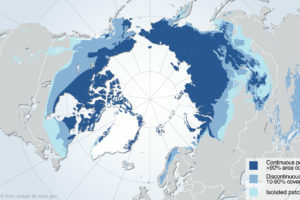 For Rosneft, the Northern Sea Route, if connected to inland oil fields in Russia’s north, could provide another export avenue for its oil, especially to the markets in Asia. During a meeting between Putin and Sechin this week, Rosneft’s boss told his boss that the oil giant is currently “considering the possibility to create an Arctic cluster that will fully focus on bringing the cargo traffic in the Northern Sea Route to 80 million tonnes by 2024, as planned,” as per the English translation of the meeting’s transcript provided by the Kremlin. The development may include Rosneft’s Vankor cluster, Suzun, Tagul, the Lodochnoye deposit, and a number of geological exploratory projects in South Taymyr. “For example, we have the Yermak project there we have launched jointly with BP, as well as the promising Zapadno-Erginsky area,” Sechin told Putin, noting that a second stage of development, if the resource potential is confirmed, could include reserves in East Taymyr in the Khatanga area. The development of the Arctic oil resources, however, requires an investment-friendly environment that will be crucial to launching such projects, as well as regulatory terms and taxation that won’t change during the projects’ lifetime, be it 30 or 50 years, Sechin told Putin. 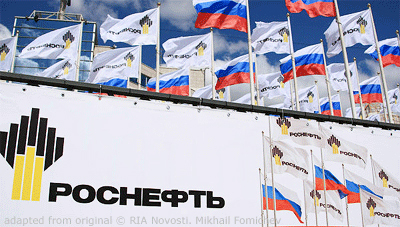 Stable regulatory environment will help attract additional investors, especially from outside Russia, according to Rosneft’s boss. Another important point in Sechin’s report to the Russian President was that the Northern Sea Route needs to be economically viable if it were to achieve Putin’s ambition for developing the Arctic resources and regions. “Given the availability of alternative logistical options, the Northern Sea Route should be as economically viable for the projects as alternative routes. In this regard, we formulate our proposals, submit them to the Government, and we will continue to do this work,” Sechin told Putin. At the end of February this year, Russian business daily Kommersant reported, quoting sources, that Rosneft had decided to significantly contribute to raising the cargo traffic on the Northern Sea Route by redirecting oil from the new fields of the Vankor Cluster by building a 600-kilometer-long (373 miles) pipeline to the coast of Taymyr. Russia is currently working on the timeframe for the development of the large Payakhskoye oil field, potentially using the Northern Sea Route, Novak said in a media interview this week published on the energy ministry’s website. Arctic projects hold huge potential for the development of Russia’s energy sector, Novak said. It remains to be seen if Russia’s biggest companies can develop the Arctic on their own, if Russia can attract foreign investments in its ambitious projects, and if the Northern Sea Route can become a viable economically-competitive route for cargo traffic.